No one really knows how many harvest mice there are currently in the British countryside, but that could be about to change with the help of a flat-coated retriever called Tui. Tui is a sniffer dog that has been trained by PhD researcher Emily Howard-Williams at Moulton College, Northamptonshire to detect the scent of the secretive rodents. This novel approach to small mammal conservation has been funded by the People’s Trust for Endangered Species (PTES). 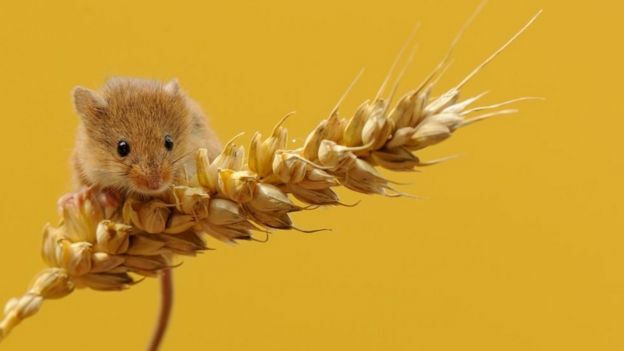 The charity believes numbers of harvest mice (Micromys minutus) have significantly declined over the last 40 years, due to changes in farming practices and habitat loss. “Given that other mammals on farmland are experiencing a decline in numbers, there is serious concern that the same is happening to harvest mice,” says Howard-Williams. But, problematically, there are no reliable studies to prove this or what the species' population status is today. Because of their minute size and secretive nature, explains Howard-Williams, harvest mice are a lot harder to find than bigger mammals that leave more evidence of their activity. Currently it is very time-consuming and notoriously difficult to find and track harvest mice, even for a trained expert. The most common method involves identifying their presence from the nests they weave among tall grasses and reeds, but it is also possible to survey bait pots for faecal matter and hair tubes or analyse owl pellets for remains. Physically trapping individual mice is another option, however this is very labour-intensive and not always reliable. “None of these methods have any great success over larger spaces for gauging harvest mouse numbers, so there is a clear need to develop an effective monitoring method for this species,” says Howard-Williams. Then there is the added complication that it is not known how many nests each mouse builds, so when a nest is found it suggests the animals are present, but not how many are in the area. 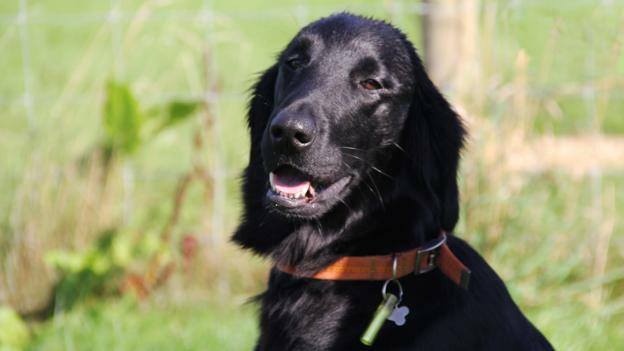 Enter Tui, a flat-coated retriever bred from working gun dogs, whose extraordinary sense of smell, Howard-Williams hopes, will help develop a much less time-consuming and more accurate method of finding and cataloguing harvest mice compared with traditional survey methods. Howard-Williams was inspired by working with conservationists in New Zealand who used detector dogs to sniff out black petrels. And another encouraging project has seen two English setter dogs successfully detect kiwi birds. “Tui was quite challenging to train as she was easily distracted to begin with. A lot of time was spent training to build up her concentration levels and direct these towards the ‘game’, but in a controlled manner,” Howard-Williams tells BBC Earth. Training a dog to find the scent of a live animal is much more complex than a chemical substance as it involves bringing lots of elements together. But Howard-Williams says she was confident at Tui’s reliability at recognising harvest mouse scent. If this method proves better than others, it is hoped it could become a mainstream survey technique for harvest mice. And if dogs are trained to particular scents, the method could work with any species, as long as the animals’ scent can be collected. This use of sniffer dogs could be the start of a revolution in mammal conservation, as the PTES is already supporting work where dogs are sniffing out pine marten scats more easily than people can see them, and an ex-police dog that can detect water vole burrows without disturbing the animal. According to Howard-Williams: “Done well, with highly trained dogs, this method could be really useful."